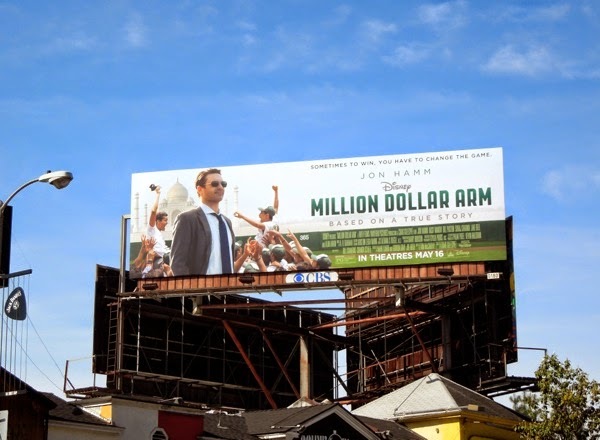 With Mad Men entering its seventh and final season, it looks like its stars are trying to branch out into other roles on the big and small screen, like Jon Hamm in Disney's new sports biopic Million Dollar Arm. 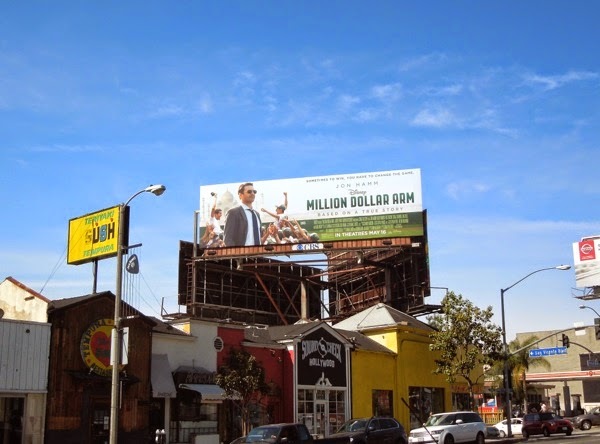 After parts in the likes of Bridesmaids and HBO's Clear History, the actor stars in this movie based on the real-life events of unconventional sports agent J. 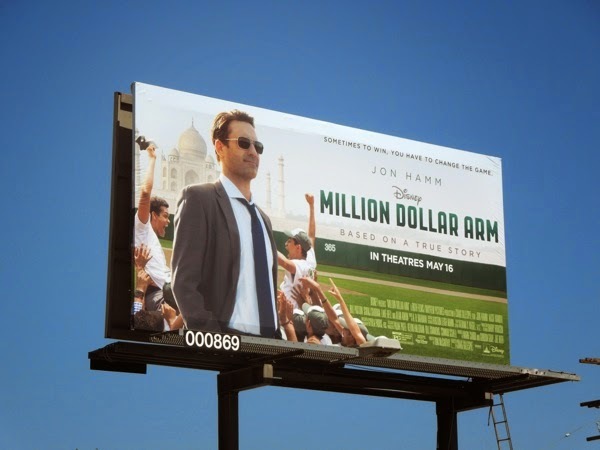 B. Bernstein who travelled to Mumbai, India and launched a reality show competition, The Million Dollar Arm, to find young cricket bowlers he could transform into a successful pro baseball pitcher in a last ditch effort to save his career. 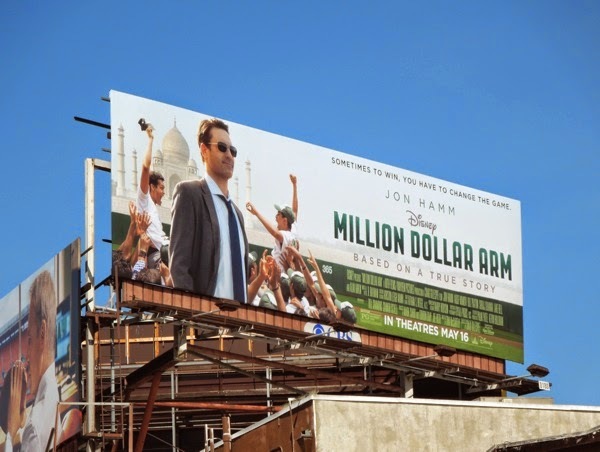 These movie billboards were spotted along West Hollywood's Sunset Strip on April 10, plus a smaller version along Melrose Avenue on April 24, 2014. 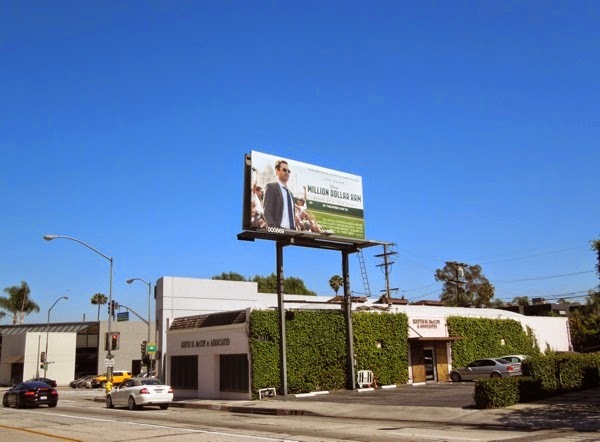 If you're a fan of Jon Hamm, be sure to also check out these Mad Men TV show billboards in which he stars as the womanising 'Don Draper'. 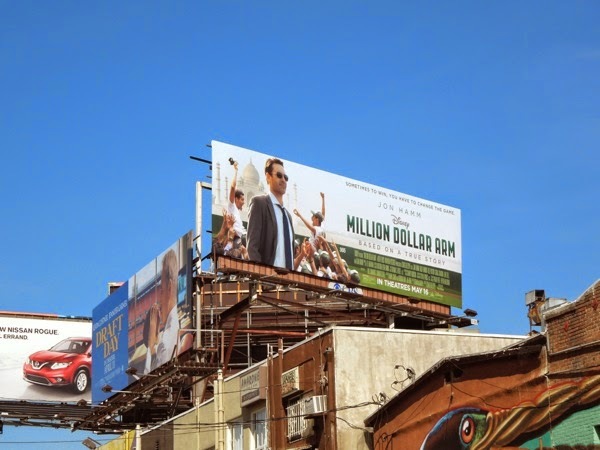 Let's hope this sports-themed movie fairs better at the box office than Kevin Costner's recent Draft Day (which you can see is rather coincidentally, or not, located behind Disney's billboard ad along Sunset Boulevard), maybe on this occasion baseball will hit a home run over American football.